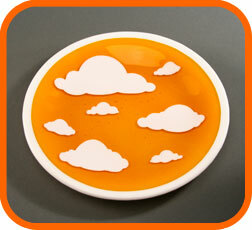 It's like eating dessert in the clouds. 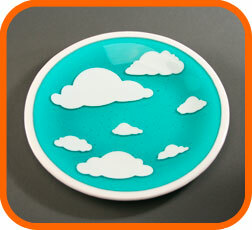 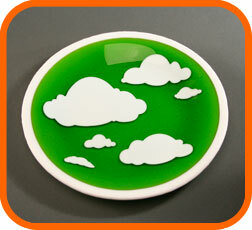 A durable, fused glass plate, decorated with puffy cumulus clouds and small raindrop bubbles. These plates work well for dessert, cheese, or any small portions. 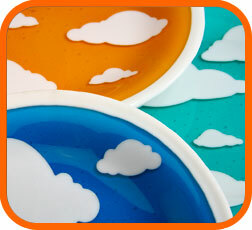 They are so cute you will want to store them out in plain sight. 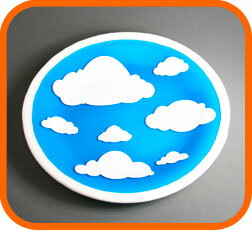 Cheese or dessert plates 8"